Omorika is the Serbian word for spruce and also symbolises slenderness in Bosnian and Serbian folklore. This is a very distinctive species with a slender, pyramidal habit. It grows to a height of 30 m. This spruce is native to the limestone mountains of Serbia and Bosnia and Herzegovina. Its habitat has protected it from extensive logging because of the difficulty in reaching it on the sides of mountains. Fire is the biggest threat to this species. On several occasions, forest containing the tree has been burnt, sometimes deliberately, leaving a fragmented distribution. Forest clearance and land use changes have also decreased the populations of this species as well as preventing further regeneration. This tree actually relies on catastrophe to survive. 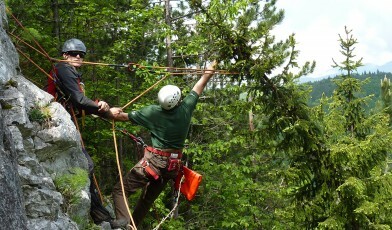 It is often out competed by other trees such as Abies alba, Fagus sylvatica and Picea abies. The seeds of this tree are collected for commercial forestry and it is also sold as an ornamental tree. According to BGCI’s PlantSearch, this species is reported as held in 218 ex situ collections across the world. 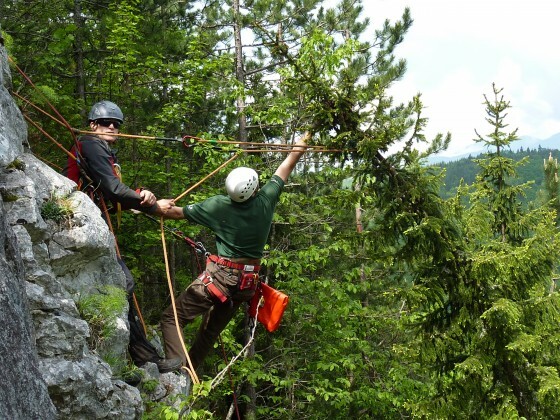 Recent collections by the International Conifer Conservation Programme and Bedgebury National Pinetum in collaboration within Bosnia and Herzegovina aim to increase the genetic diversity of ex situ collections of this species in the UK. Seeds have also been seed banked and information gathered raised the threat level from vulnerable to endangered. Over exploitation of the huarango tree led to ecological devastation and the consequent downfall of a pre-inca civilisation, known as the Nasca.